Korean national baseball team for the 2010 Asian Games has been finalized. Cho Bum-hyun, the national team manager, announced on Monday the Asian game roster of 24 players following a meeting with the technical committee of Korea Baseball Organization. 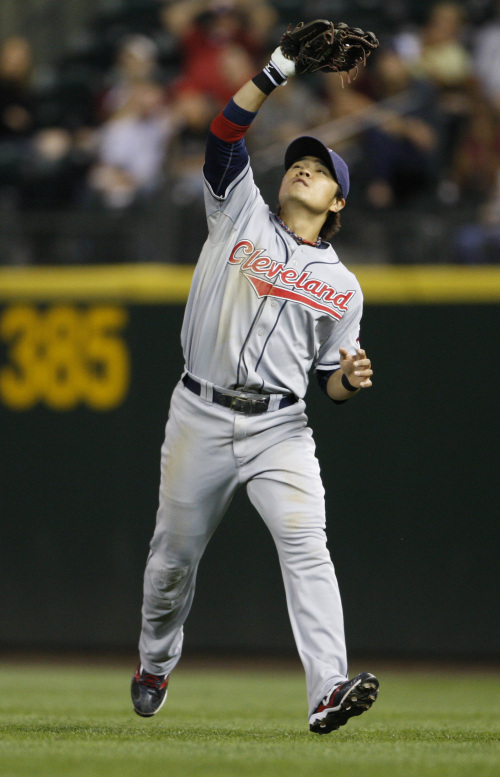 Major league outfielder Choo Shin-soo of Cleveland Indians and Kim Tae-kyun with Chiba Lotte Marines are the two foreign league players among the roster. Lee Bum-ho, who plays for the Japanese side SoftBank Hawks, however, is left out from the team. Lotte Giants slugger Lee Dae-ho, who set a world record earlier last month by hitting home runs in nine consecutive games, is also named in Cho’s squad. Also, Hanwha Eagles pitcher Ryu Hyun-Jin, who made a record of 23 consecutive quality starts last month, is also selected by Cho. However, Lotte Giants slugger Hong Sung-heun is left out of the team due to a hand injury. The Kia Tigers manager Cho, who won the 2009 season title, chose 10 pitchers- four right-handed, four left-handed and two under throwers- for the team. And he has picked up seven infielders and five outfielders and two catchers. Baseball has been a part of the Asian Games since 1994. Korea won gold medal in 1998 and also in 2002. However, last time the country only managed to win the bronze medal while Taiwan won the gold and Japan won the silver medal in Doha, Qatar. “Our aims is to win a gold medal. I believe the players can make it happen,” said Cho at the KBO office. For some of the players, winning gold medals is more desperate than others. Under the current law, all able-bodied men aged over 20 have a duty to serve in the military, but with the exception of athletes who have claimed either Olympic medals or gold medals in Asian Games. Among the current 24-man national team squad, 10 players, including Cleveland Choo Shin-soo, must serve in the military under the current law.